Haven’t posted much lately but I hope to change this with a new series titled Looking Up. Sometimes the sky interacting with man made objects, others with trees or just sky. All linked by my positive attitude. Happy Holidays. 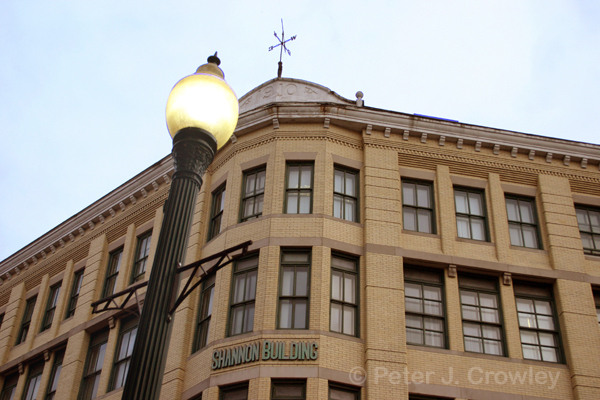 Whenever I\’m stopped at the light in front of the Shannon Building, I always try to look up. Of course, I don\’t have this awesome perspective from the light. Glad you are happy, and most of all, HEALTHY, again. You\’ve had quite a year. I hope 2012 is all upward and onward! The days will get longer from here out until summer. I love the light in winter–looking forward to it. (People think I\’m crazy for preferring winter.) We need a February photo day off for learning, so start thinking of a good place to shoot. First we visit the Wadsworth and the Florence Griswold for Patti Smith and Walker Evans….. 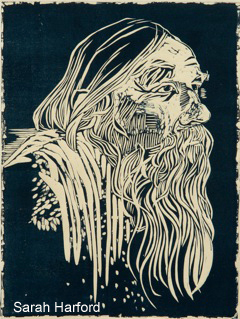 Happy Yuletide! I have a pumpkin bread in the fridge with your name on it!